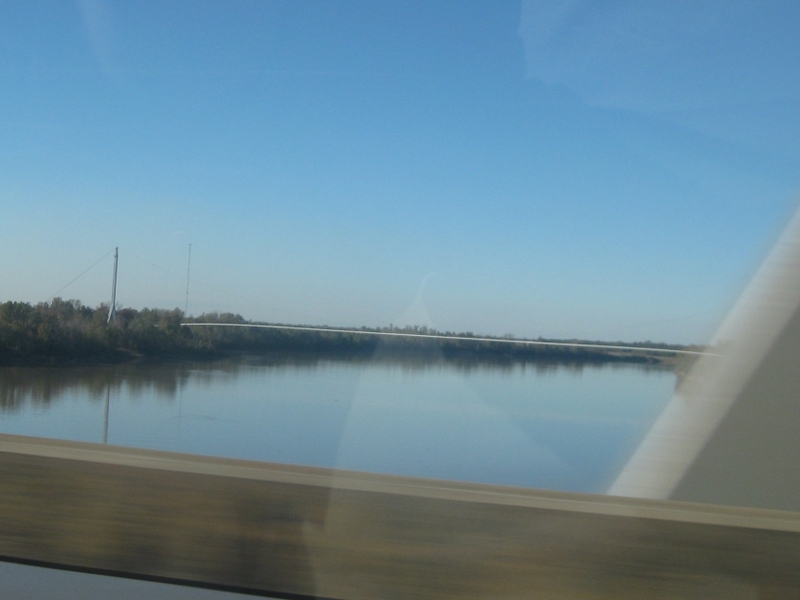 As we cross the US 190 bridge over the Atchafalaya River at Krotz Springs, LA, we look north and see this. It's a little bridge for a pipeline. 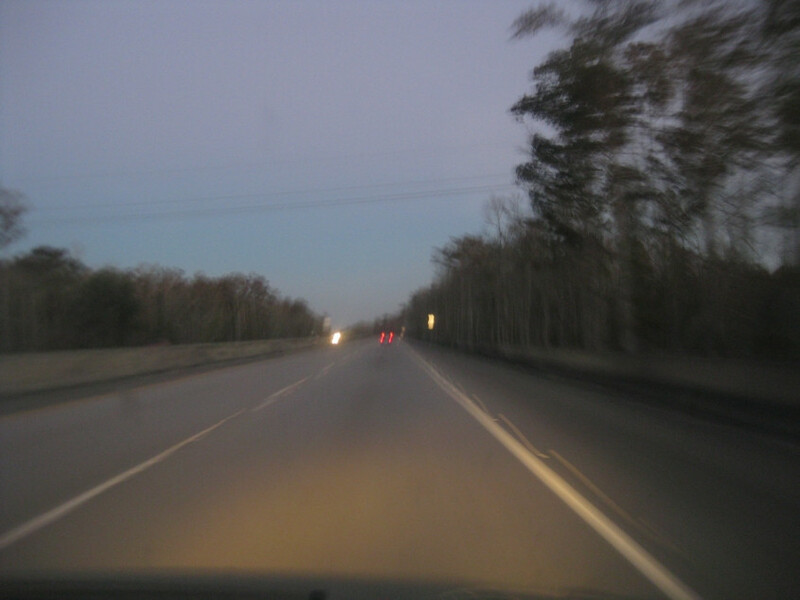 Was hoping this was an old stretch of US 190, but I don't think it was. It's probably 3 Mile Avenue west of Krotz Springs. 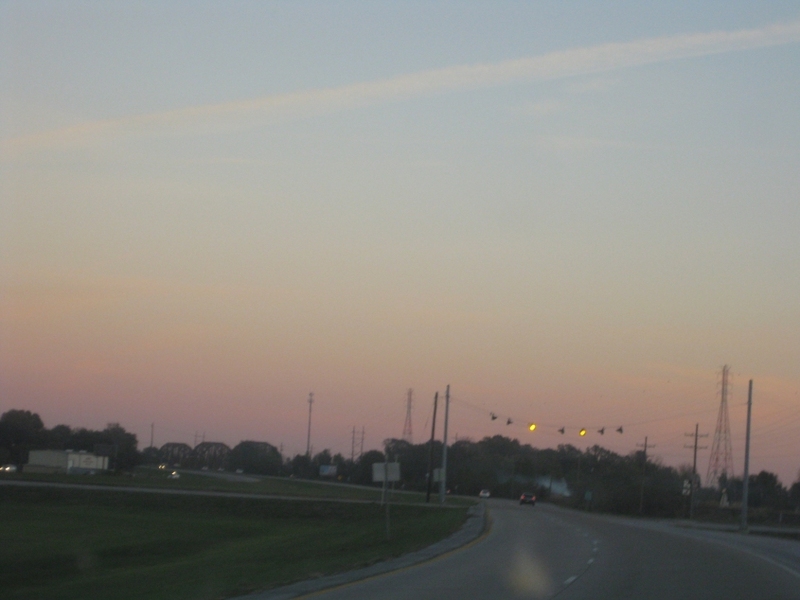 South on US 167 near Abbeville, LA. Byp LA 14 uses Summers Drive on the north side of Abbeville. This drawbridge crosses the Vermilion River. 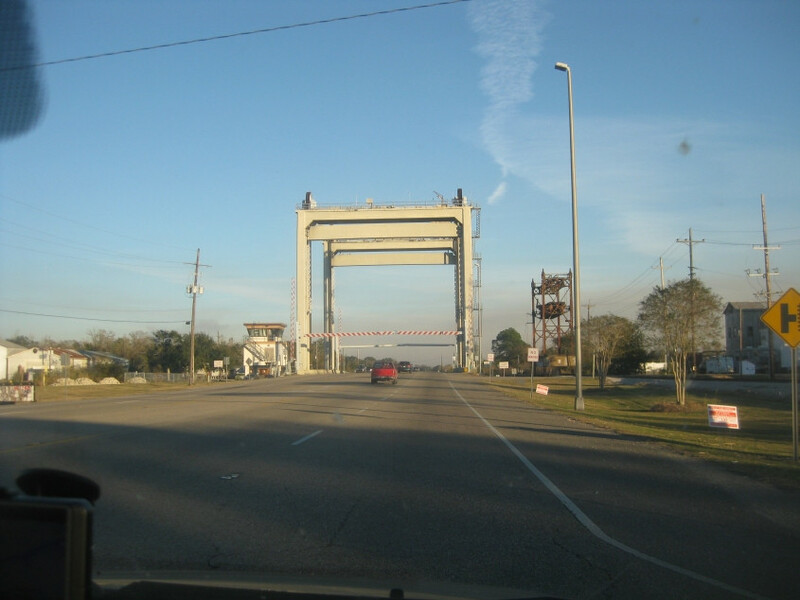 Drawbridge on LA 14 in Delcambre, LA. 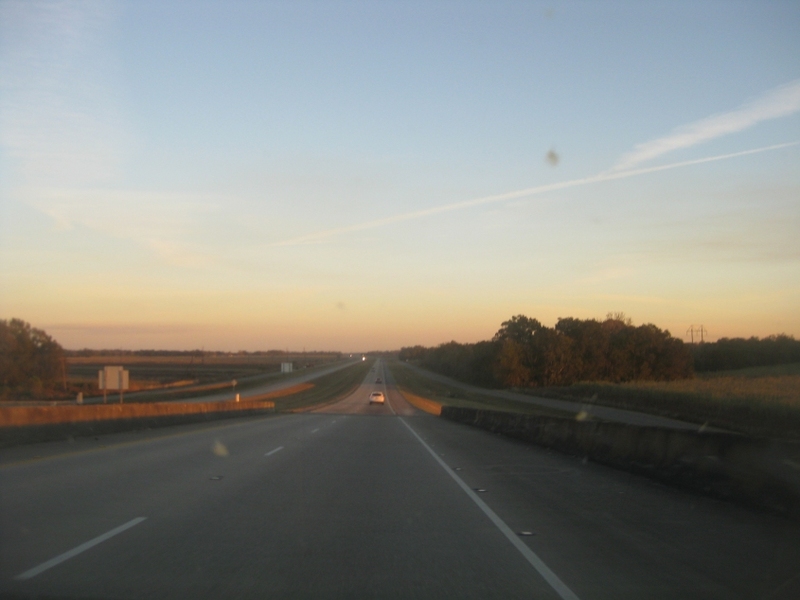 Southeast on US 90 near New Iberia, LA. 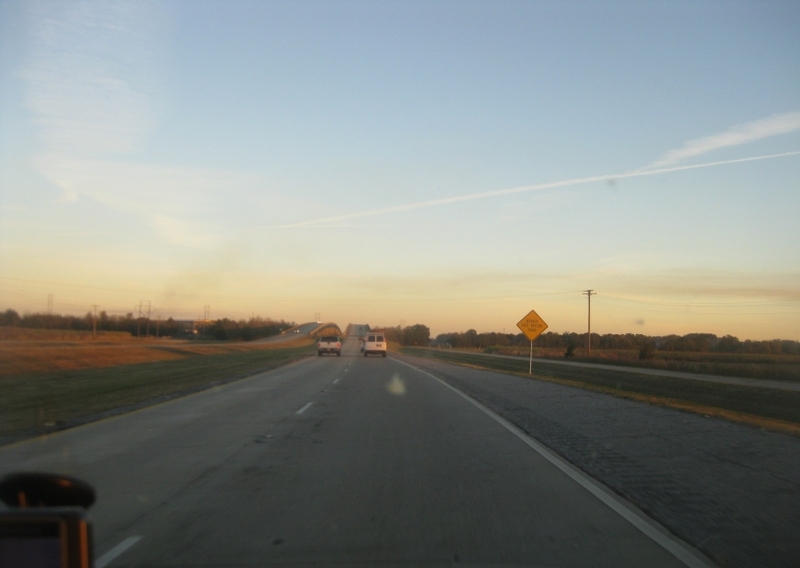 The frontage road on the right probably was never US 90. 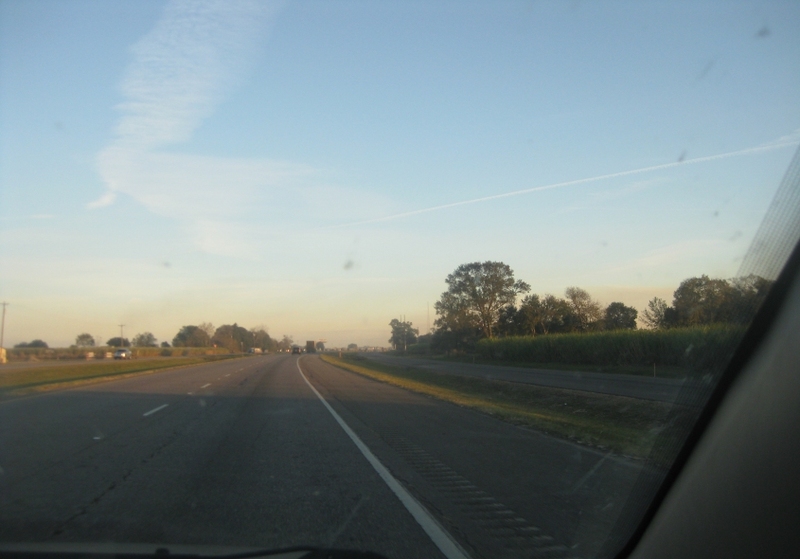 This is the path of what may become an I-49 extension from Lafayette to New Orleans using US 90. 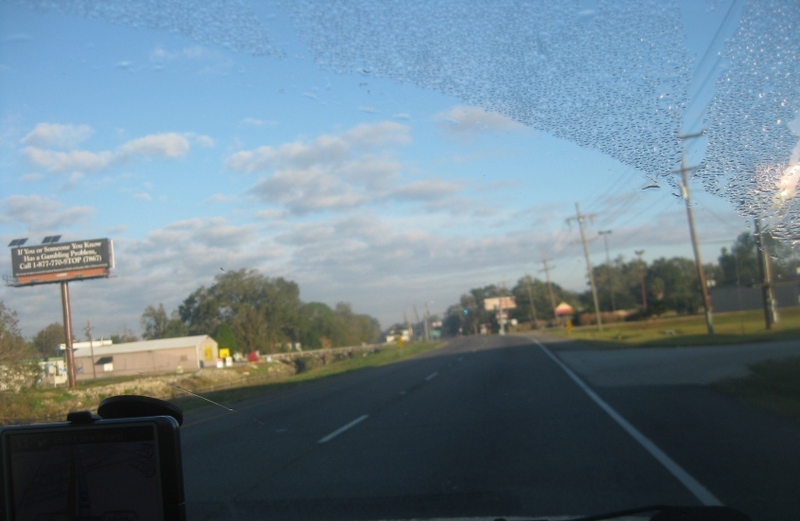 US 90 in Baldwin, LA. 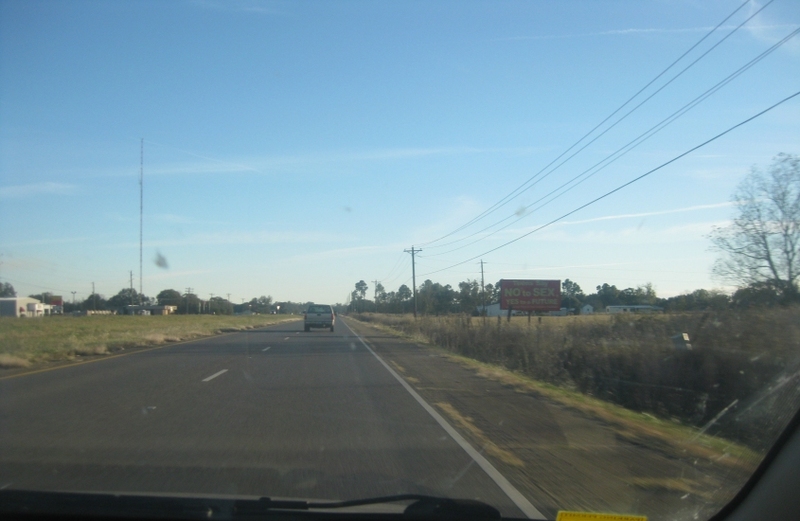 Frontage road was not old US 90. As US 90 crosses over the canal in Baldwin, we're looking over a layer of fog. US 90 in Franklin, LA. 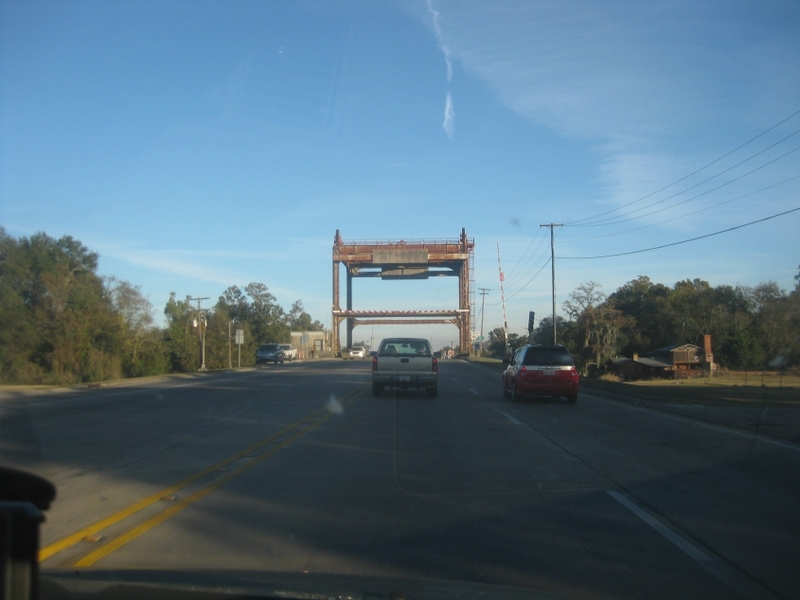 US 90 descends this bridge in Franklin. Again, Frontage Road was never US 90. A closer view of the aforementioned rail span. One of the Roads Scholaring highlights of this trip begins here in Berwick, LA. 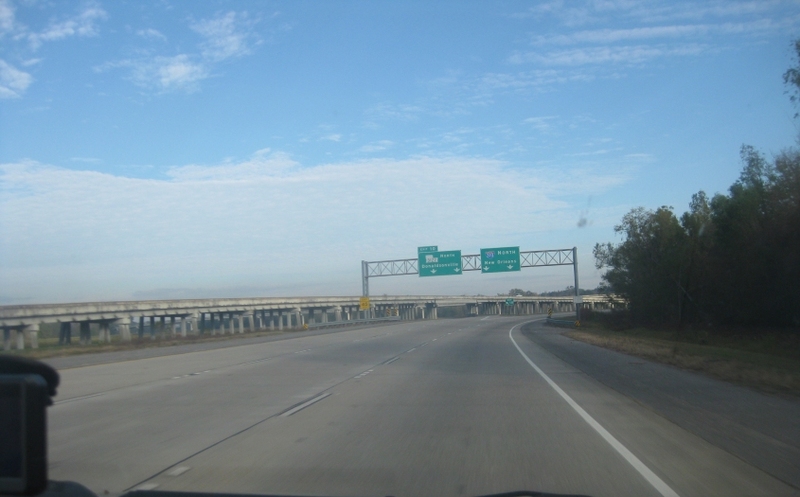 US 90 loses LA 182, and the ramp to LA 182 is on the overpass. But the real attraction here is the 2 bridges in the background. 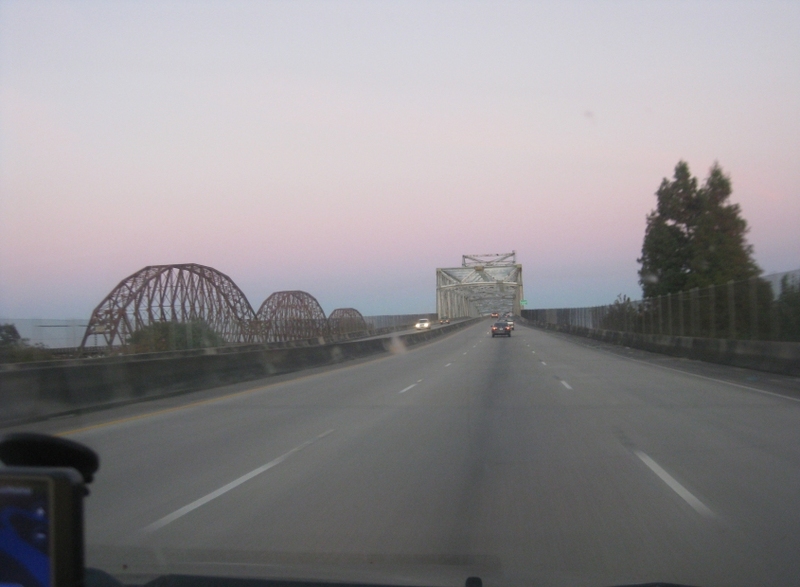 The one at center is the US 90 span over the Atchafalaya River to Morgan City. 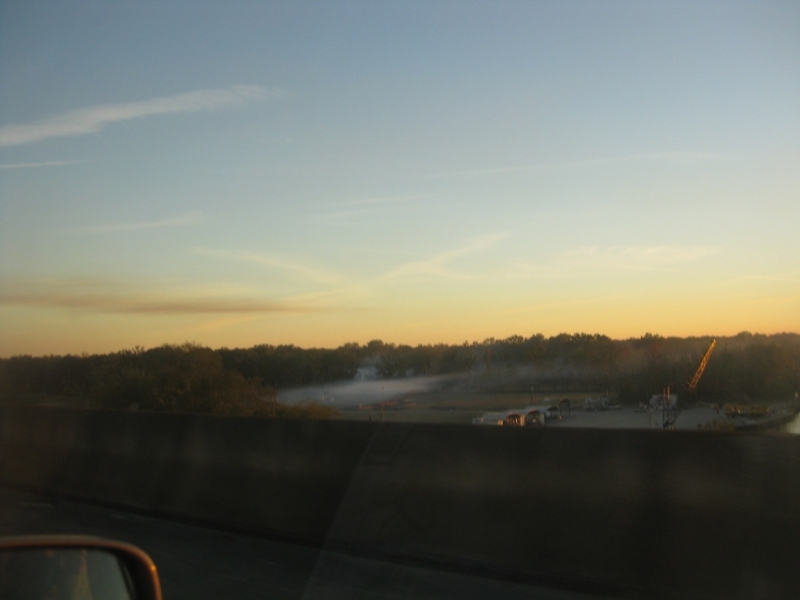 The other one - the brown structure to the left - is the LA 182 bridge that parallels it. 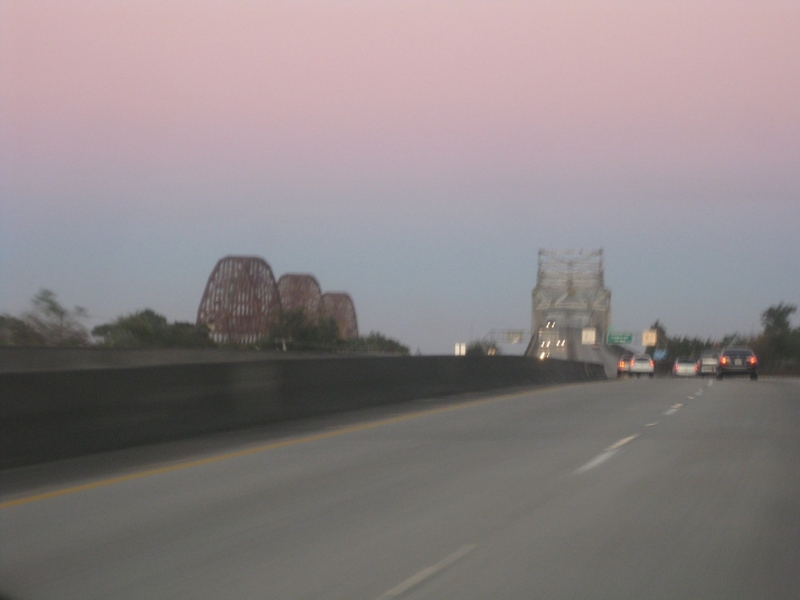 Crossing the US 90 bridge, with the LA 182 bridge at left. 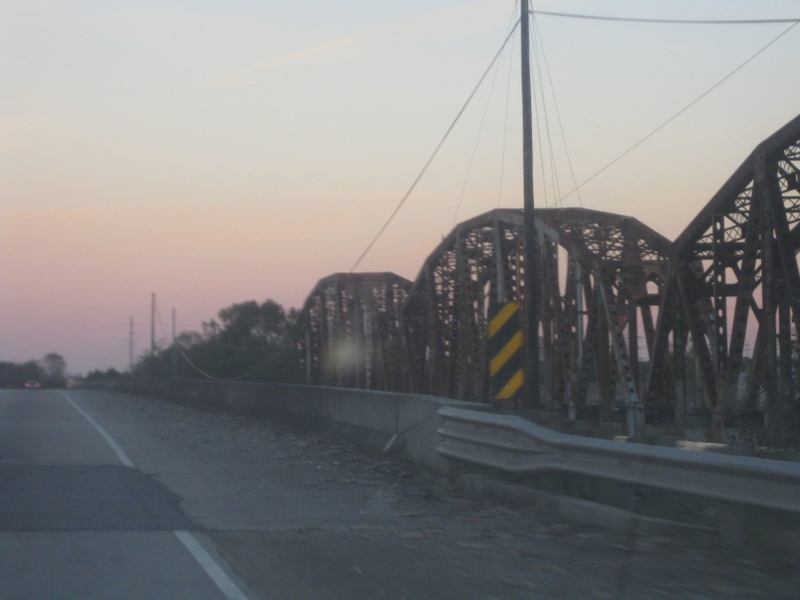 The LA 182 bridge used to be US 90. Another good view crossing the US 90 bridge. Looking south from the US 90 bridge, we saw this rail drawbridge. 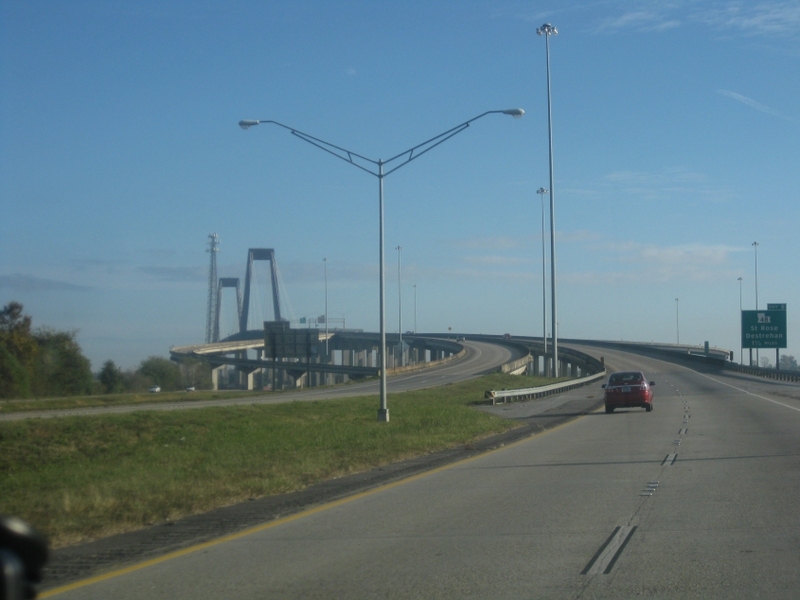 US 90 then forms this freeway through Morgan City. 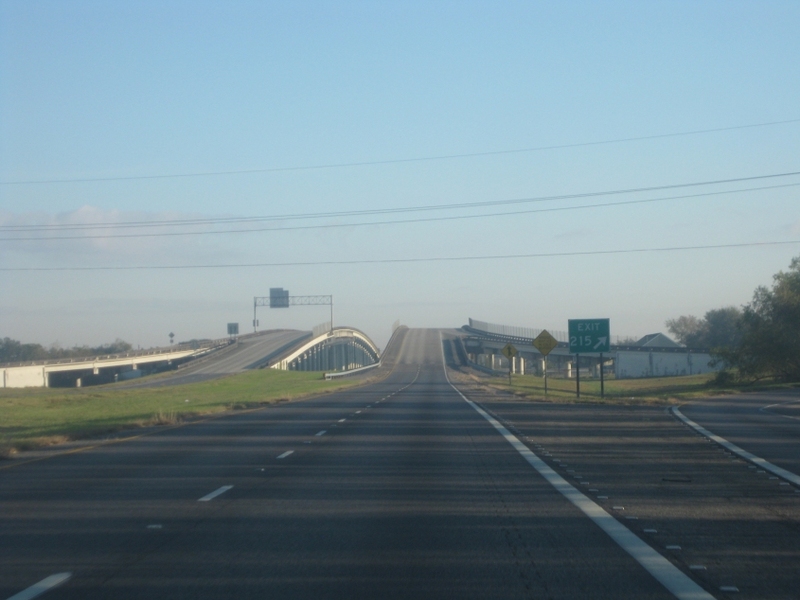 US 90 continues as a freeway east of Morgan City. 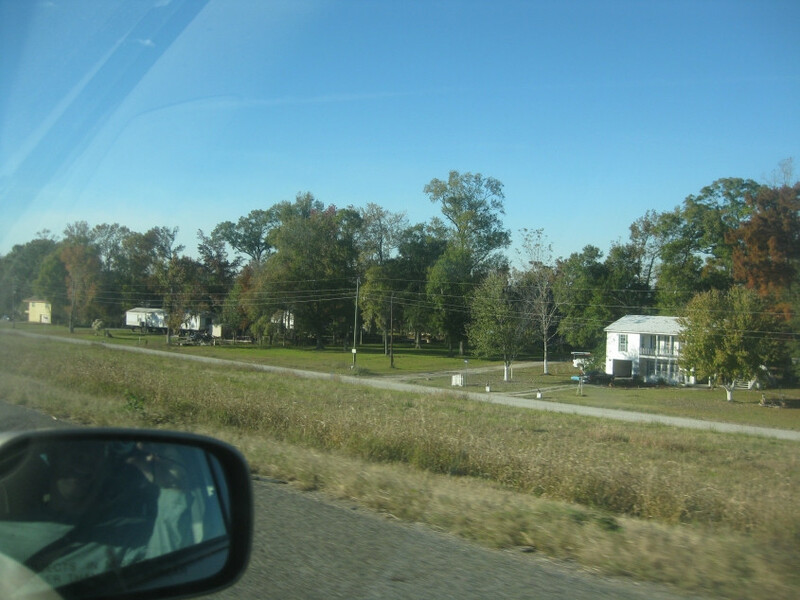 Northwest on LA 24 in Bayou Cane, LA - outside Houma. What's interesting here is that this is a divided highway, and Bayou Terrebonne runs down the median. Up ahead, you can see Idlewild Drive or Edward Street crossing over the bayou in the median. 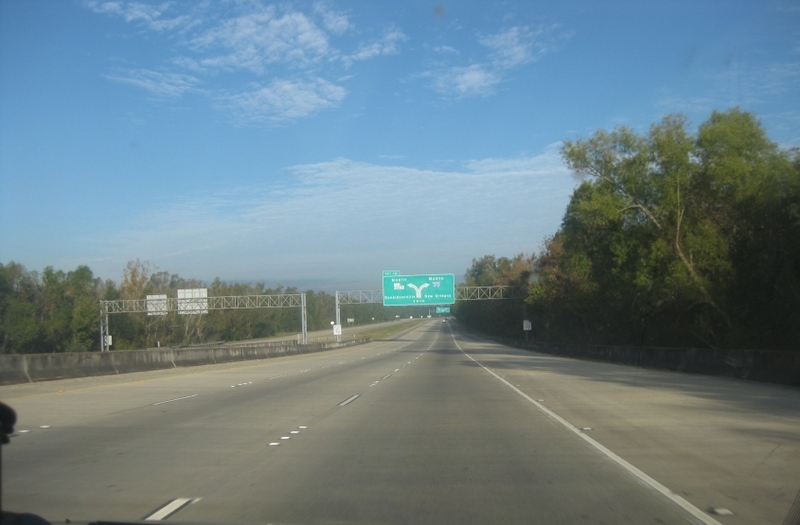 US 90 has an exit to LA 1 in Raceland, LA. Note that the ramp from LA 1 is elevated along with US 90's bridge over Bayou Lafourche. Now we're on I-310, an 11-mile spur from I-10 to US 90. (This is different from a proposed but unbuilt I-310 that would have decimated the French Quarter in New Orleans.) Up ahead, I-310 does that thing with the blade of grass and veers to the right. 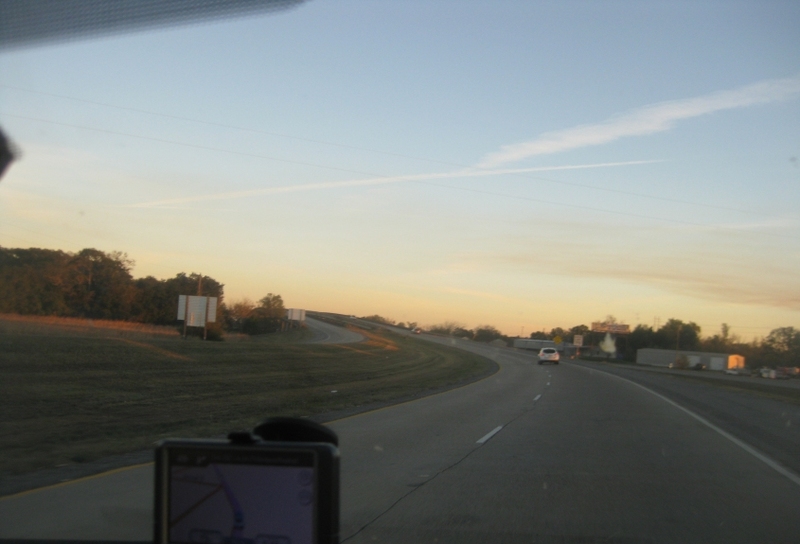 I-310 at LA 3127. 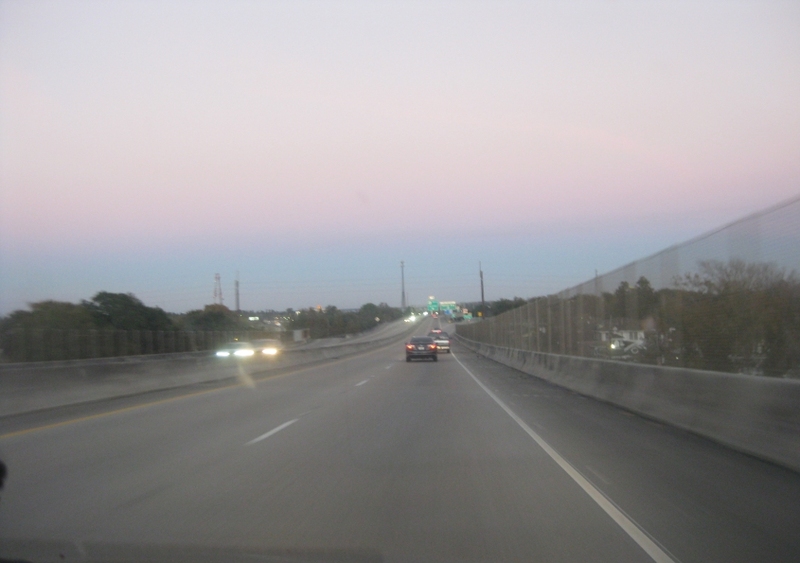 What is now I-310 was originally planned with the current I-510 to be part of a southern bypass around New Orleans called I-410. That plan was killed in 1977. 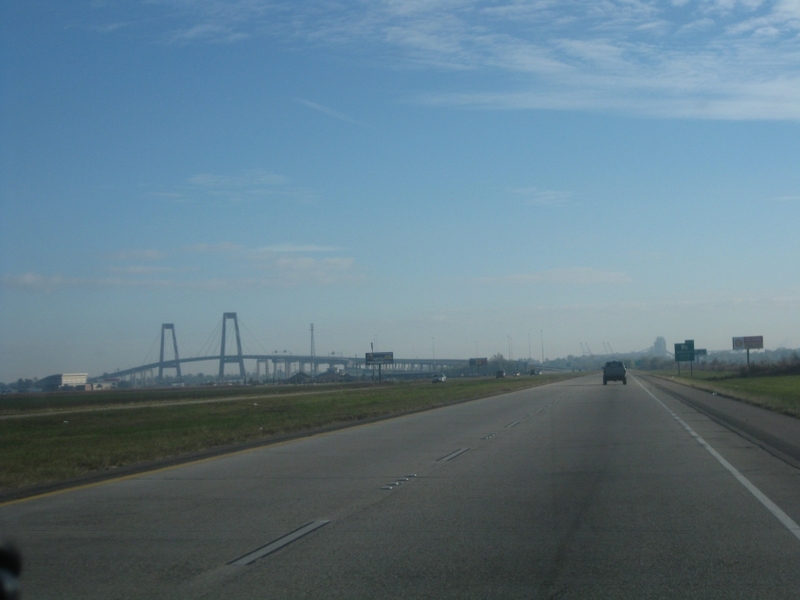 I-310 was completed in 1993, but it includes the Hale Boggs Memorial Bridge, opened in 1983. This 2-mile-long bridge crosses the Mississippi River and was one of America's first cable-stayed spans. In fact, it was the first cable-stayed bridge to be part of an Interstate. 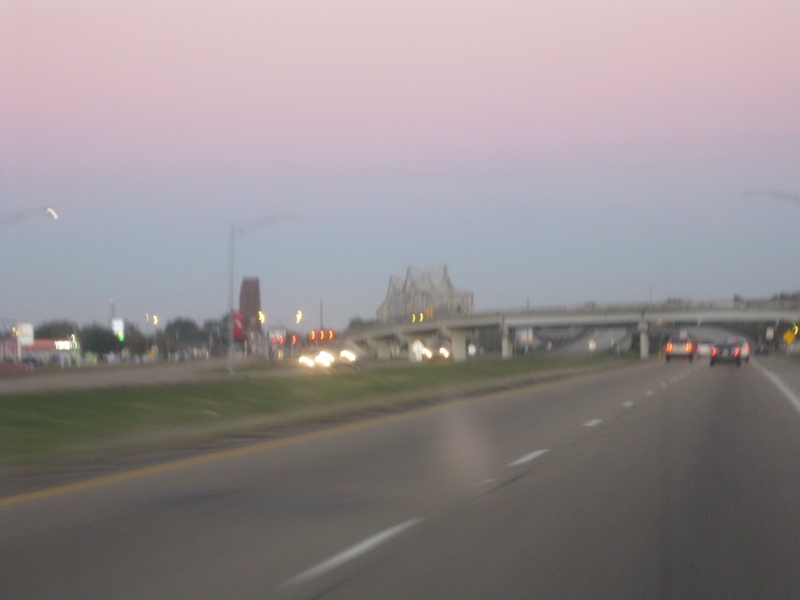 Nearing the Hale Boggs Memorial Bridge. You can see the ramp from I-310 south to LA 18 swooping down on the left.